What is in your carpet cleaning chemicals? At TLC Carpet Care in Castle Rock C0 steam cleaning process with carpet cleaning machines that extract we use pretreatments like , Citrus oil and enzymes. We have more different cleaning agents for different stains if needed, such as Urine Stain remover and bio modifier, and enzymes.TLC will be sure to rinse these chemicals from your carpet leaving it resiue free as possible. Is your system the steam or dry cleaning ? How often should my carpets be steam cleaned? The carpet manufactures recommends that carpets should be cleaned approximately every 6 months for health reason, please read our research if you would like to learn more. 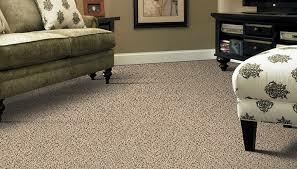 Carpet manufactures require the carpet to be cleaned AT LEAST every year by using the hot water extraction method to maintain the warrantee. How long does it take my carpets to dry? We use the most ProChem truck-mount machines available, we do extra dry strokes to help drying the carpet in half the time. It will depend on a few factors such as how which the yarn is and the weather factors such as temperature and humidity. If the carpet is heavily soiled we may have to work on it more than usual it more than usual resulting in extended drying time. Typically the carpet will dry in about 8 to 12 hours. Can we walk on the carpet when your done? TLC Carpet care will provide you with booties for your shoes so that you may walk on the carpet right when were finished cleaning, It is best to perhaps get out of the house fro a few hours if possible. Does TLC Carpet Care move my furniture? We will move a few things like a sofa or some chairs if asked. Things of liability we don't move and if too heavy we won't move those items. Is your carpet cleaning safe for kids and pets? The real danger comes from what might be in your dirty carpet. The CDC (Center of Disease and Control) recommends that small children under 5 years not be present during the cleaning process.Also remove birds during the cleaning. What are your carpet cleaning prices? If you live in an apartment community we will need to be able to park as close to the unit as possible. TLC Carpet care in Castle Rock Co will refuse service if legal parking is not available - We will not break the law for any reason. We cannot park in enclosed garages while operating the Truck mounted units because of the carbon monoxide involved. One way to overcome the parking challenge in Castle Rock Co is to schedule the cleaning during street cleaning time. This way parking is more likely to be available. What else can we do to prepare for a carpet cleaning appointment? Besides reserving parking for our cleaning vans, there are other things to keep in mind. For better cleaning results we ask that you vacuum your carpet before we arrive especially if you have pets. Please remove as furniture and breakables as possible. Consider placing breakables on beds or in rooms not being cleaned..
Make sure when you make the appointment that you give us the phone number where you can be reached on the appointment day. Our cleaning techs will call you if they are running late or early.